Dumhal is a famous Indian dance. It is up on the list that features many regional vernacular dances. Dances are the oldest form of celebration, since before the inception of conceptions. In India, there are many dance forms. Some are classically oriented; some are contemporary while the others are mainly of folk origin. The apex of the Indian sub-continent is the seat to the paradise of the east. Jammu & Kashmir is truly one of the most exotic places on the earth. There are many traditions in the heavenly state and this dance form is one such tradition. 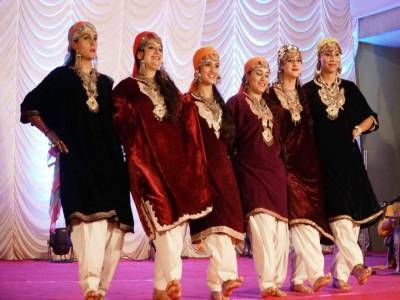 The Dumhal dance form is one of the famous traditions of the Jammu & Kashmir rituals. The dance is mainly performed by the men of the Rauf tribe or some say it is the Wattal tribe. But one thing is certain that this Dumhal dance form is predominantly male oriented, now performed by all genre. 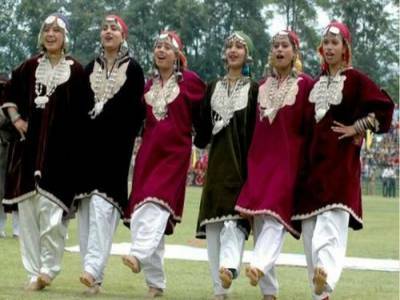 The Dumhal dance is very popular among the people of not only Jammu & Kashmir but also of Himachal Pradesh and Punjab. The origin of this dance form is quite interesting. 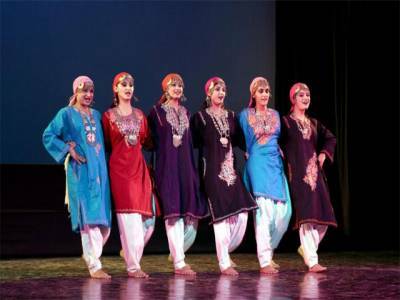 Though it is a folk dance still its root of origin lies from the era of the Sufi movement. It is said that Dumhal was invented by a Sufi saint. The wardrobe of the Dumhal dance is quite colorful and robust. The long attires are ornamented with beads and are made out of heavy clothes to match the cold of the Jammu & Kashmir weather. The conical hat is an essential part of the dance dress. The jewellery is the accent of the Dumhal dance. The dancers perform the dance in a group. With the rhythmic beats of the drums and other percussion instruments the chorus songs fill the dance with enigma. 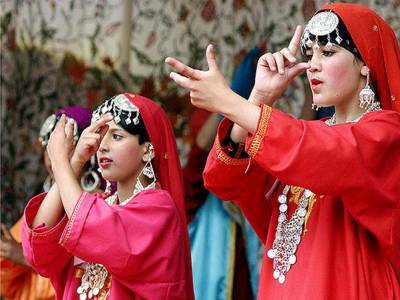 The Jammu & Kashmir Dumhal dance is indeed very popular among the people. Get quick answers from travelers who visit to Dumhal Folk Dance.